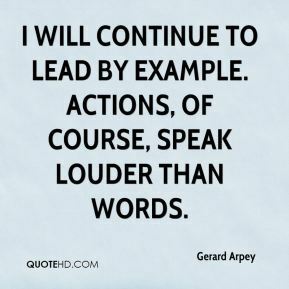 I will continue to lead by example. Actions, of course, speak louder than words. 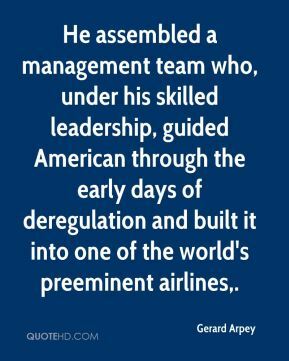 He assembled a management team who, under his skilled leadership, guided American through the early days of deregulation and built it into one of the world's preeminent airlines. All of us are thrilled to welcome Tom Horton back to the leadership team. 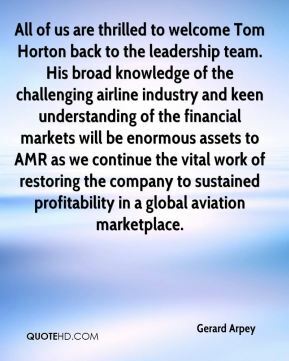 His broad knowledge of the challenging airline industry and keen understanding of the financial markets will be enormous assets to AMR as we continue the vital work of restoring the company to sustained profitability in a global aviation marketplace. 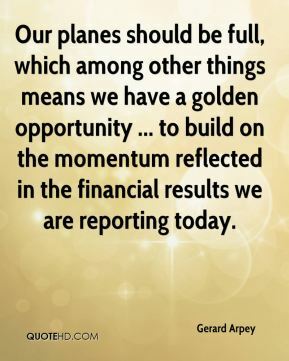 Our planes should be full, which among other things means we have a golden opportunity ... to build on the momentum reflected in the financial results we are reporting today.